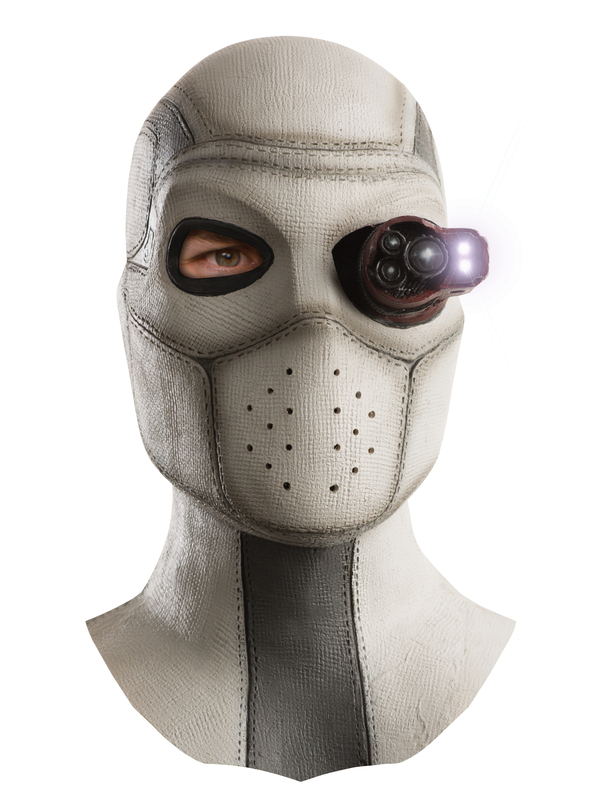 Right out of DC comics, the Adult Deadshot Light-Up Mask will be the talk of the party. This mask is stylized from the recent Suicide Squad movie. The knit like detail and light up you’ll look just like the assassin villain. Made from latex, this mask will be comfortable all night long of causing destruction. Order your Deadshot mask for adults online!